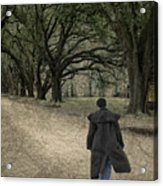 The Long Road Home iphone x case by Mitch Spence. Protect your iPhone X with an impact-resistant, slim-profile, hard-shell case. The image is printed directly onto the case and wrapped around the edges for a beautiful presentation. Simply snap the case onto your iPhone X for instant protection and direct access to all of the phone's features! There are no comments for The Long Road Home. Click here to post the first comment. This is a classic passage beneath live oak trees in the United States South in plantation country. The long road beneath the overhanging trees creates a tunnel effect, which is both impressive and a bit eerie. 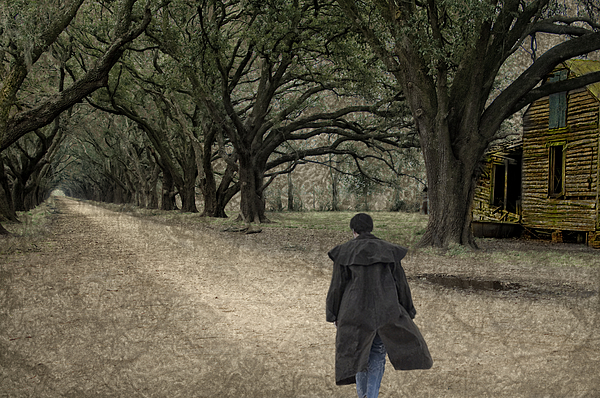 Here, an old house can be seen on the right at the beginning of the road, and a lone traveler is setting out to walk the distance to the far end of the road, where we can see an opening in the trees. The textures create the effect of echos of the branches in shadows on the road, and the posture of the man suggests, perhaps, a homecoming.